Thanks to modern medicine, it’s easy to solve minor body problems which, years ago, could worsen into more severe body conditions or require extreme medical procedures which were very common in the past. While some medicines require prescriptions, plenty of medicines are over-the-counter. This means the pharmacist dispensing the drug does not need to see a doctor’s prescription before you can buy your medicine, as the medicines are relatively safe and used for minor conditions such as coughs, fevers, or body pain. One of the most common over-the-counter medicine is ibuprofen. 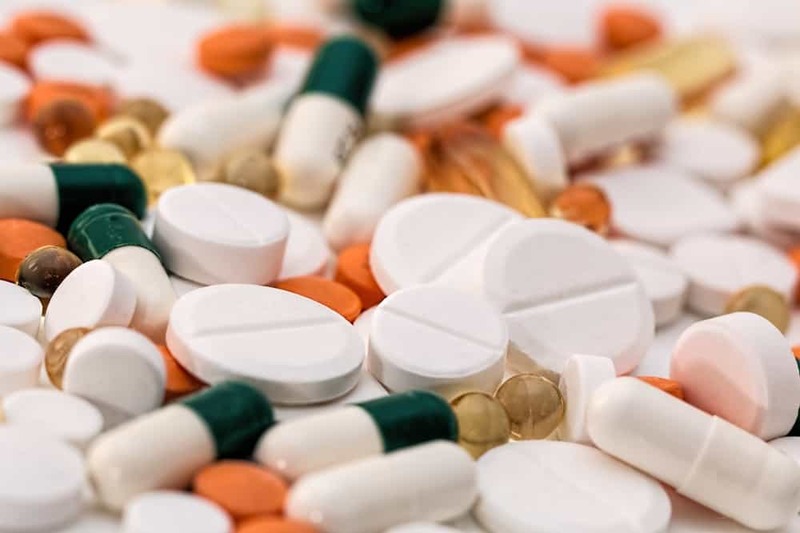 An effective painkiller that kicks in a short while after drinking it, ibuprofen, is available generic or branded, with many brand names sold around the world. In the United States, it’s known as Advil, Addaprin, Bufen, Midol, and many more, while other branded names exist outside the United States. Because pharmaceutical companies are basically selling the same drug, they have to market their ibuprofen in various ways to make their version the go-to painkiller for the public. Don’t be misled by advertisers who imply that their ibuprofen is faster than regular painkillers because, chances are, most drugs work the same way and take effect at roughly the same time. In this article, we discuss ibuprofen and its effects to people who use it. From how long it takes for the effects to kick in, to how long its effects last, to why it may not be the effective painkiller for everyone. Like all medicines, be sure to read the label provided by the manufacturers about the dosage one should take and the time you need to wait before taking another dosage. Ibuprofen is a painkiller for mild to moderate body pain. It also deals with inflammation from the body. Adults usually take it as a tablet, capsule, liquid-filled capsules that are swallowed, while children can drink it as a syrup. Aside from oral medication, it can be a topical mousse or spray that can be rubbed into the skin. Ibuprofen does not cure the source of pain. If you’re experiencing dysmenorrhea, it won’t stop you from menstruating. Or, if you’re experiencing back pain, it won’t correct your posture or stop the part of your back from hurting. You feel pain because your brain is letting you know that something irregular is happening in your body. The drug dulls the sense of pain your brain creates, but it does not solve the actual problem that is causing the pain. Let’s say that you have an ear infection, acute otitis media. Your doctor gives you medicine to treat the bacteria in the ear, but during the healing process, the pain is so severe that you cannot concentrate on your everyday tasks, to the point that you are constantly in pain. To assist with the healing process, your doctor may also provide you with ibuprofen. This doesn’t tackle the cause itself, but the way the brain handles pain. Your body comprises of tissues, which have nerves in them. When you step on a nail, for example, the nail pierces your skin, damaging your tissue and triggering the pain receptors in the area. Once activated, in the span of a split-second, these nerves send signals to the spinal cord, which forwards the signals to the brain. The brain sends the signals to the thalamus, which determines what your physical, emotional, and cognitive reaction should be towards the foreign object causing pain, and it releases prostaglandins, a substance used for the body to respond to pain. From there, your involuntary response takes over. You feel sharp pain, you might yell, and your body instinctively goes back. Even if you’re not aware that there is a nail, the brain tells your body how to react, and your body can instinctively pull back even before you realize you were hurt. This applies to pain that happens quickly. But what about pain that is recurring and much longer than a split-second reaction? This becomes inflammation. When your skin is pricked by a needle, aside from the brain causing pain to let you know something is wrong, your white blood cells also start working to protect you from viruses and bacteria that could enter and infect your body. Once your cells detect that there is a puncture in your skin, your body in that area adjusts so that it can start blocking off that hole. Two things usually happen: one, the proteins in your blood called fibrins, as well as the platelets, sticks to the hole and coagulates, closing up the hole. This is known as blood clotting, and it is why you aren’t supposed to peel off scabs as these protect your inner tissue from outside factors. The second thing that can happen during inflammation is that the part of your body starts to swell, redden, and become hotter. This is an effect of inflammation wherein the body slightly heats up the injured part of the body to kill any bacteria or viruses that have entered. The white blood cells are also at work, killing any foreign objects that may have entered. But what if you don’t have an injury that could have caused inflammation, but your body exhibits signs of inflammation anyway? This effect is called an autoimmune disease, where the body’s immune system reacts to its own tissues. This may be a sign that something is wrong with your body internally (e.g. if you feel sudden pain without reason), or this may be a case of misplaced inflammation. Ibuprofen is a non-steroidal anti-inflammatory drug (NSAID), which deals with pain, fever, and inflammation. As mentioned earlier, when your brain triggers pain, it releases prostaglandins to cause pain, swelling, inflammation and fever. To prevent inflammation or the feeling pain, ibuprofen blocks your body from producing prostaglandins. Depending on your body’s ability to produce enough the substance, if ibuprofen works successfully, you either feel a duller pain in your body, or none at all. How Long Does It Take Ibuprofen to Work? Answering this question really depends on several factors, such as the user’s body composition, their age, and the severity of the pain. Taken orally, ibuprofen should work around 20 to 30 minutes, so don’t be fooled by advertisers that claim their brand is fast-acting compared to others, since most ibuprofen products like Advil have the same waiting time before kicking in. For topical ibuprofen, it may take a day to work after rubbing it on your skin. If your pain is only mild to moderate, the medicine may block pain stimulants until your next dosage. Unless your doctor recommends otherwise, you’re supposed to take ibuprofen every 4 to 6 hours along with a glass of water – this dosage may be much less if you’re giving it to children. Make sure your stomach isn’t empty when taking ibuprofen. The dosage and effects of the drug depend on your medical condition and the type of pain you’re trying to block. When it comes to children, the dosage depends on their weight, as too much ibuprofen in their bodies can lead to overdose symptoms. If, after 10 days, assuming your doctor wasn’t the one who instructed you to take ibuprofen for longer, then that pain may be a sign of something serious than just minor body pain and you may need to get checked by a doctor. Pregnant women and people with heart and blood pressure conditions have thinner blood. By taking NSAIDs, they risk countering the effects of their medication or worsening their condition. If you experience pain, you may need to see a doctor to take medicines that are safe. Aside from ibuprofen, there are other painkillers available. 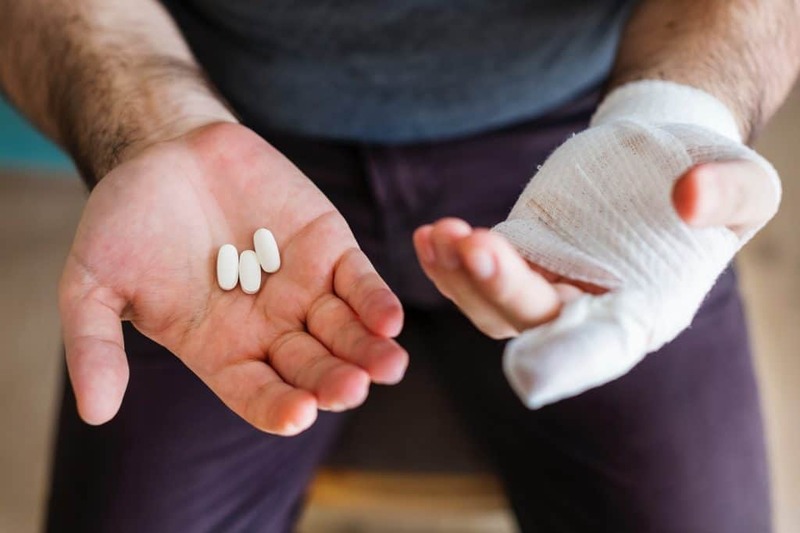 Aspirin is another popular painkiller, but instead of targeting the substance that triggers pain, it enters the blood stream and targets the areas where pain should occur. It’s more effective towards headaches, body pains, and inflammation when a part of the body is sore. However, it is less safe for hemophiliacs and people with ulcers and other upper digestive conditions. Ibuprofen is one of the most common and most helpful over-the-counter medicines on the market. However, you still need to be cautious about the amount you consume or if it is actually safe for your body. If you feel ibuprofen may help relieve your pain but you aren’t sure if it’s right for you, visit your doctor today.